In total, 12.255 actions in more than 30 European countries are registered for the EWWR 2016. They involve public authorities, private companies, civil society as well as citizens. The EU-funded initiative addresses the “3Rs”: as a first priority waste should be Reduced, the second-best option is to Reuse products and the third priority is materials Recycling. “The EWWR is about being more aware and more conscious when we talk about what we call waste. Also, to connect the players in waste reduction efforts, like collectors and recyclers who can provide valuable material from the used products”, explains Andreas Ellenberger, one of the speakers at the EWWR in Frankfurt, Germany. In Frankfurt, hometown of the PlastX project, the EWWR is effectuated with a full week program including upcycling and repair workshops, presentations, guided tours through the recycling center and a big upcycling market on Saturday, 26th of November (see the full program here). 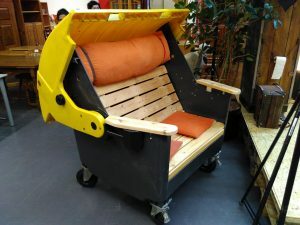 The actions are organized by the GWR (“Association for Reuse and Recycling Ltd.”), a non-profit association that is running the recycling center and a second-hand store in Frankfurt. 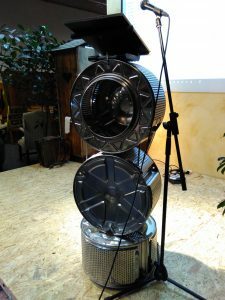 “We collect the whole electric waste of Frankfurt and examine what can be reused or can be easily repaired. These items are sold in the second hand store. We treat these items very carefully already from the beginning and focus on the reuse aspect early on. Another important aspect of our work is that we qualify and employ people who have been outside of employment processes for a long time and would have no chance on the job market”, says Marita Lotz, staff member of the GWR and co-organizer of the EWWR actions. 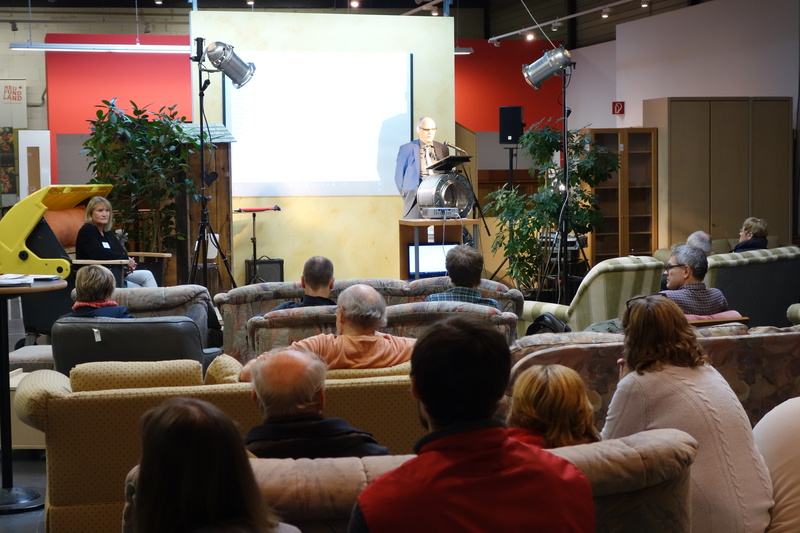 The participants at the kick-off event on the 19th of November were informed about several local projects revolving around upcycling (“Re-Thing”), closing material loops (“Cradle to Cradle”) and awareness raising (“Pier F”). Andreas Ellenberger, representative of the Cradle to Cradle association, explains why reduction, reuse and recycling all go together in his opinion: “I think these are three different aspects of the same topic: getting rid of the things that we currently call waste. You can reduce waste in different ways, by not making it waste at all, by using it again and again, or taking parts of it and recycle it. You can reduce waste by consuming less, which is of course boring and not so exciting. But you can also reduce waste by starting from the beginning and creating things in a way that they never become waste. So it will always, at the end of usage, be a secondary raw material for other goods”. 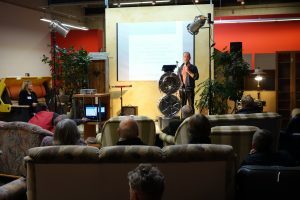 Quotations in the article are taken from interviews that were conducted at the kick-off event on the 19th of November in the GWR second-hand store “Neufundland” in Frankfurt. Magdalena Langer, currently intern in the PlastX research group, talked to Andreas Ellenberger (www.c2c-ev.de), Marita Lotz (www.gwr-frankfurt.de) and Martin Zimmermann (pier-f.de).